Our product range includes a wide range of roll to roll laminators, wide roll laminators, paper roll laminators, roll laminators and thermal roll laminators. Our company is engaged in distributing, wholesaling, trading and supplying high quality range of Roll to Roll Laminators. The offered laminators are broadly valued among customers for its flawless range. 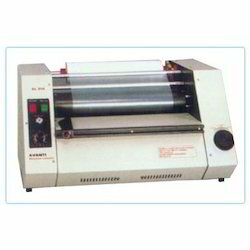 Our laminators are precisely designed at vendors manufacturing unit employing high end technology. Moreover, we supply these laminators from our end after conducting a strict test so as to deliver a flawless range. 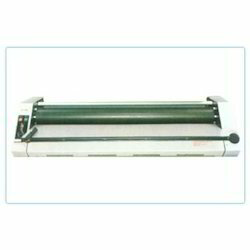 From our wide range of products, we offer optimum quality Wide Roll Laminators. 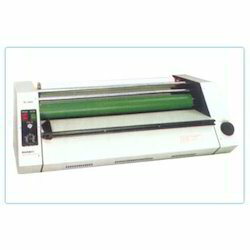 Our offered roll laminator is use for laminating certificates, mark sheets, office documents. 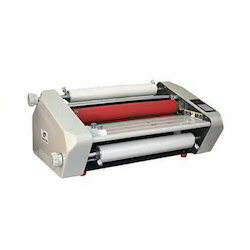 This roll laminator is manufactured with excellent quality components and the advance technology at vendors ultra modern manufacturing unit. In order to assure the quality, this roll laminator is examined against various quality parameters by vendors quality controllers. Owing to our expertise, we are distributing, wholesaling, trading and supplying a wide assortment of Paper Roll Laminators. Best for laminating charts, posters, certificates, and our roll laminator is manufacture as per the needs of customers using excellent quality material employing advance techniques. 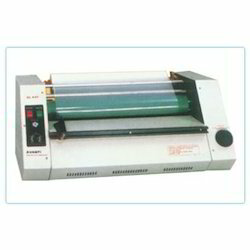 This roll laminator is provided in numerous specifications for fulfilling the requirements of customers. Clients can avail from us an extensive array of Roll Laminators which is suitable for ideal for laminating maps, engineering plans, technical data; we manufacture the offered roll laminators employing top quality components in conformation with industry norms. These roll laminators are checked by quality controllers to deliver defect-free range at client's end. Clients can avail these roll laminators at reasonable rates to our customers. We have emerged as the leading distributor, wholesaler, trader, and supplier of Thermal Roll Laminators. Use for laminating blue prints, maps, charts, technical data, and our vendors professionals design this roll laminator by making use of top grade components and sophisticated technology in adherence with market standards. Our offered roll laminator is checked by vendors quality controllers in numerous parameters of quality for supplying defect free range at client's end. Looking for Roll Laminators ?